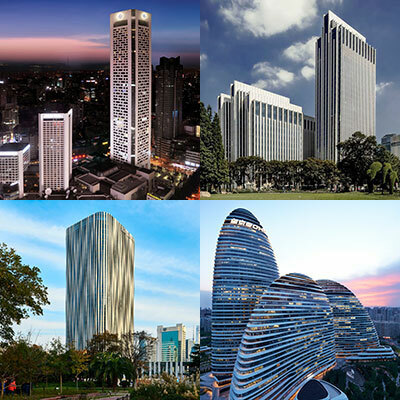 • Façade Adamson Associates;	Permasteelisa Group;	Israel Berger & Associates;	Vidaris, Inc.
• Urban Planner	 Designscape International Ltd. 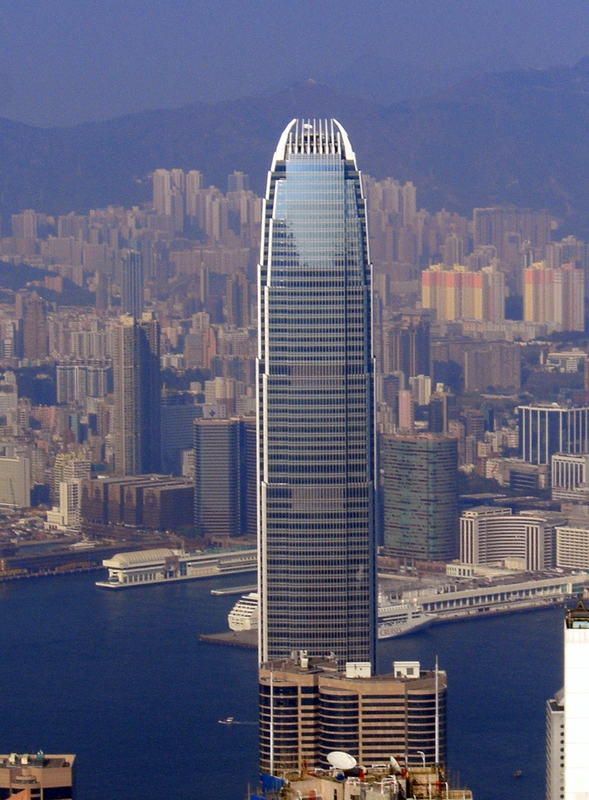 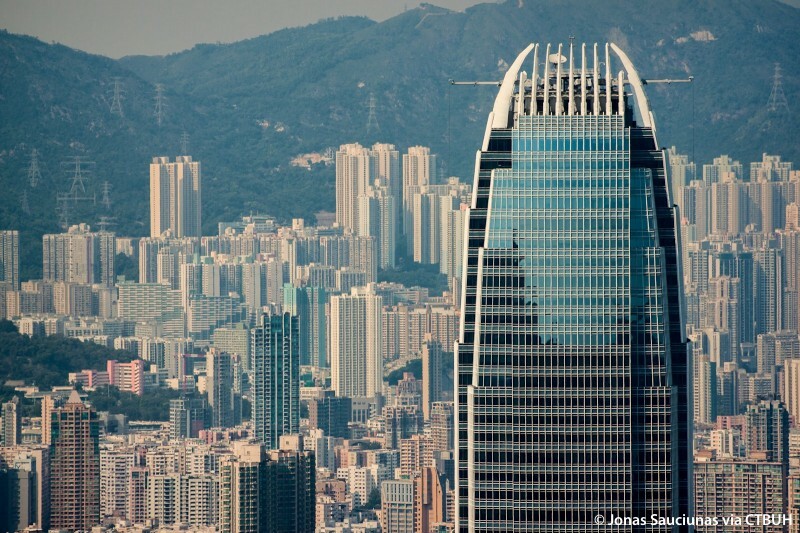 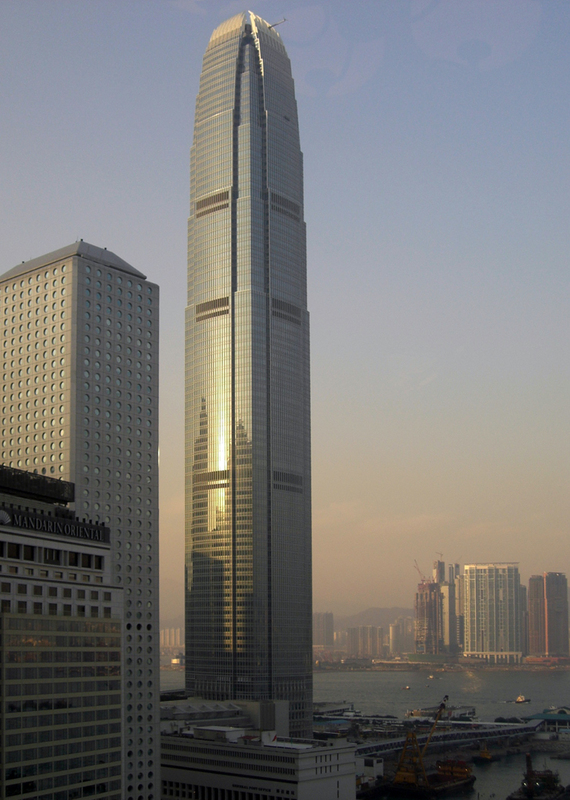 The International Finance Centre is an integrated commercial development on the waterfront of Hong Kong’s Central District, which is designed to complement the natural beauty of its surroundings. 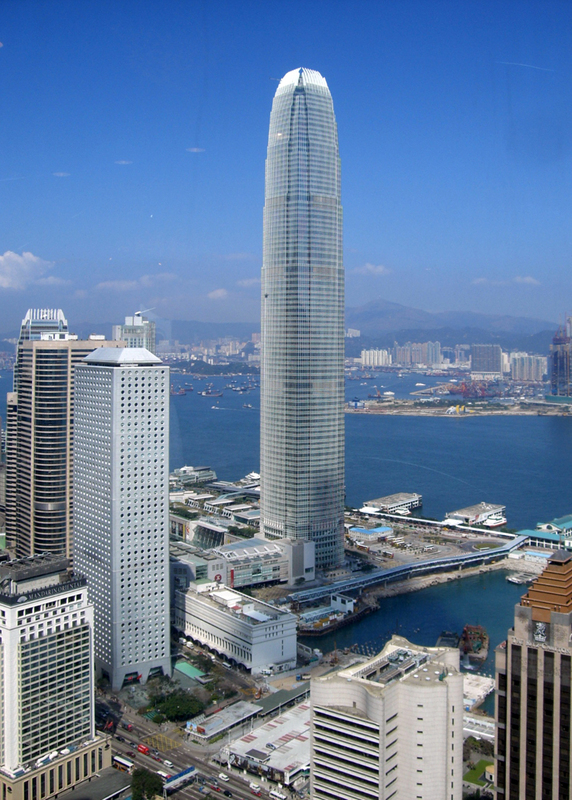 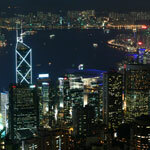 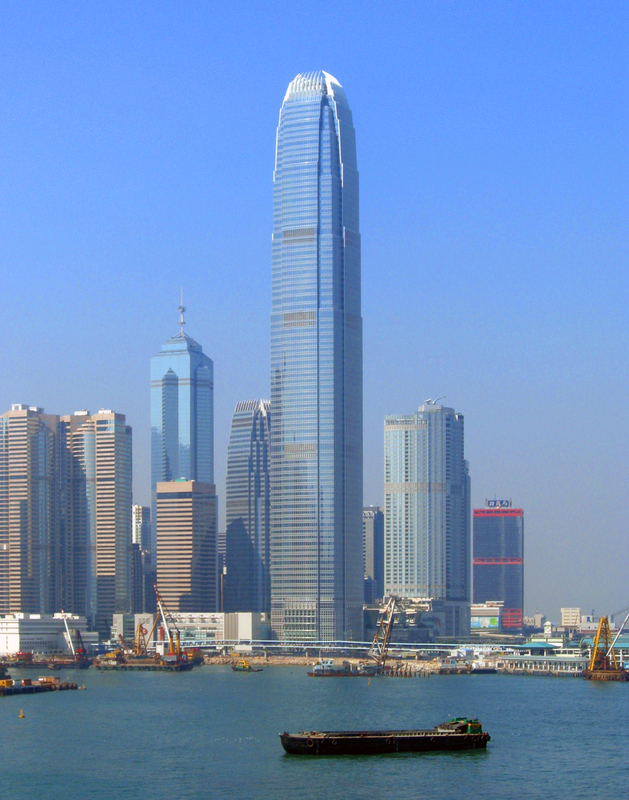 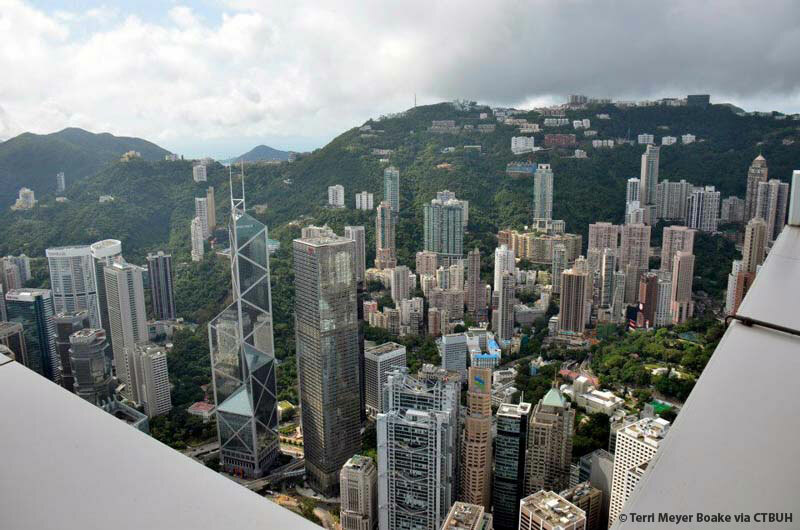 It is located at the narrowest crossing of Victoria Harbour, with Victoria Peak in the background. 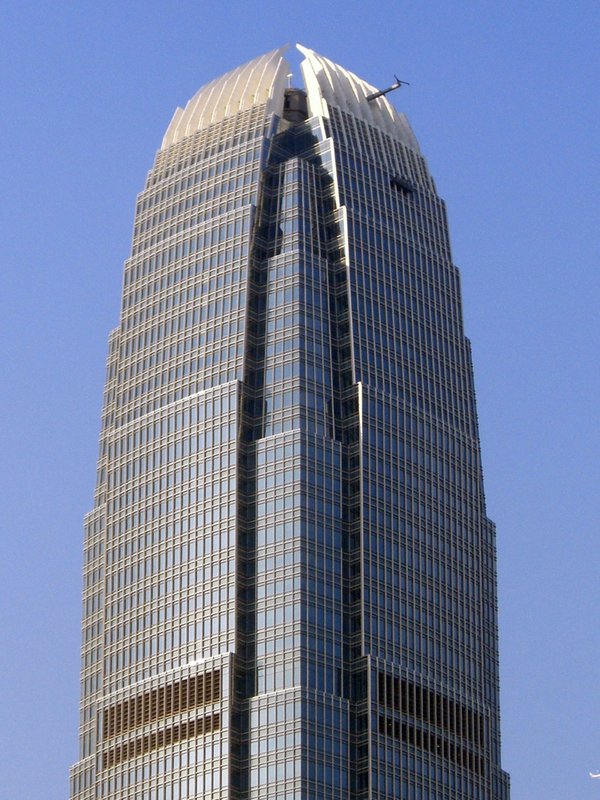 Part of the Hong Kong Central Station Development, the complex includes One International Finance Centre, Two International Finance Centre, and a retail podium with a public roof garden. 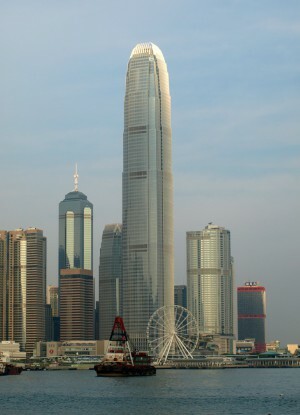 The tower stands apart from the cluster of other high-rise buildings, distinguished by its unique configuration as well as its proximity to the water. 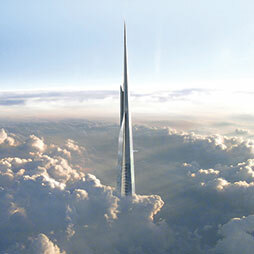 Its obelisk form tapers with subtle setbacks, which evokes a sense of ascension. 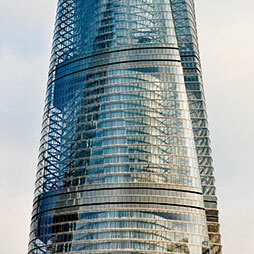 The tower is clad in reflective glass and vertical window mullions, which trace sharp lines from the base to the top of the building. 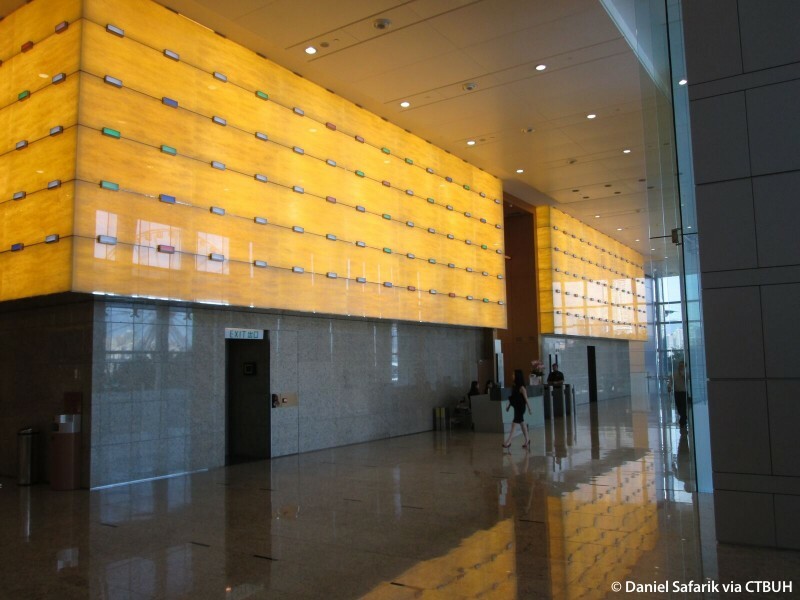 The mullions are shaped like airfoils and painted a silver pearl color, causing the building to shimmer and reflect the water nearby. 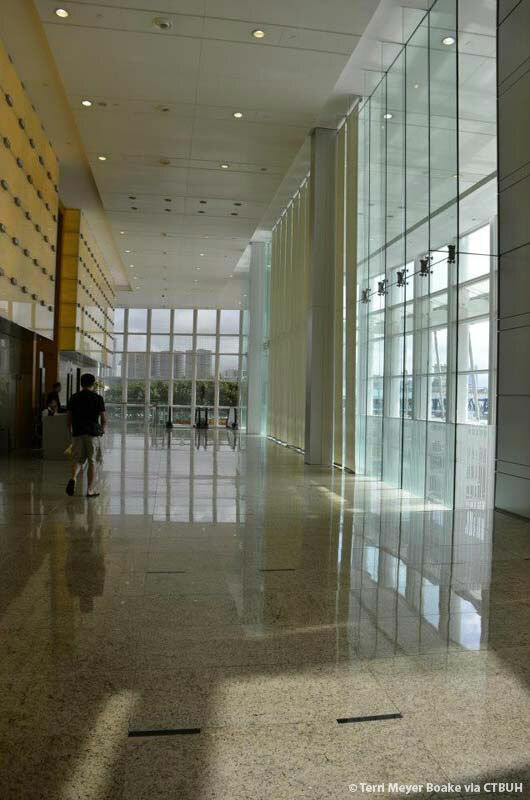 The scrupulous articulation of the curtain wall softens the surface and emphasizes the verticality of the form. 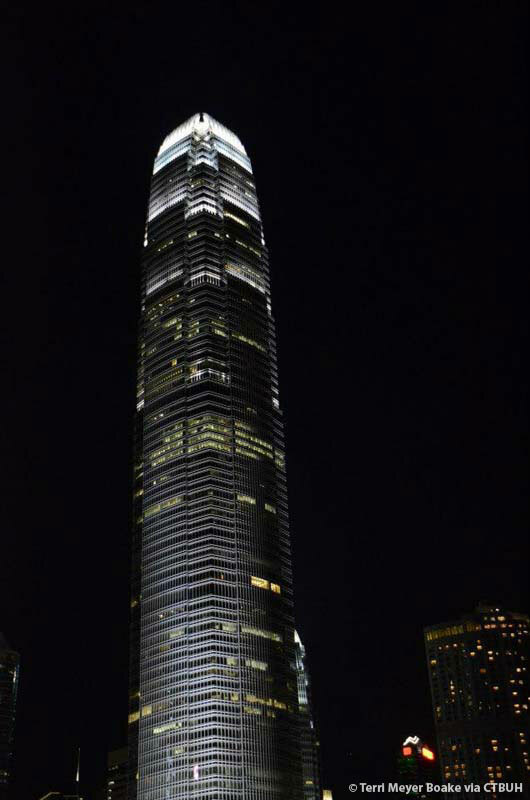 The open design of the tower’s sculptured crown integrates the building with its natural background, letting the sky behind it show through. 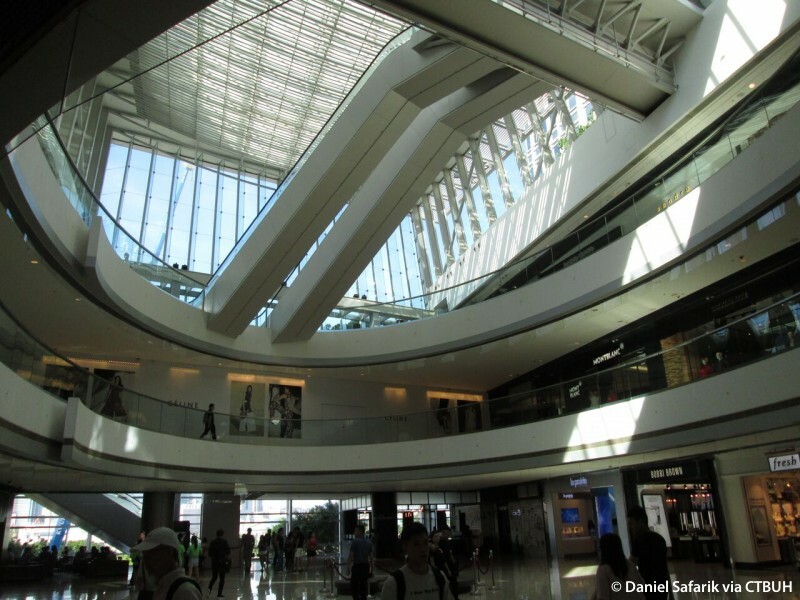 Constructed on a square footprint, the floor plan is open, with few structural columns in place. 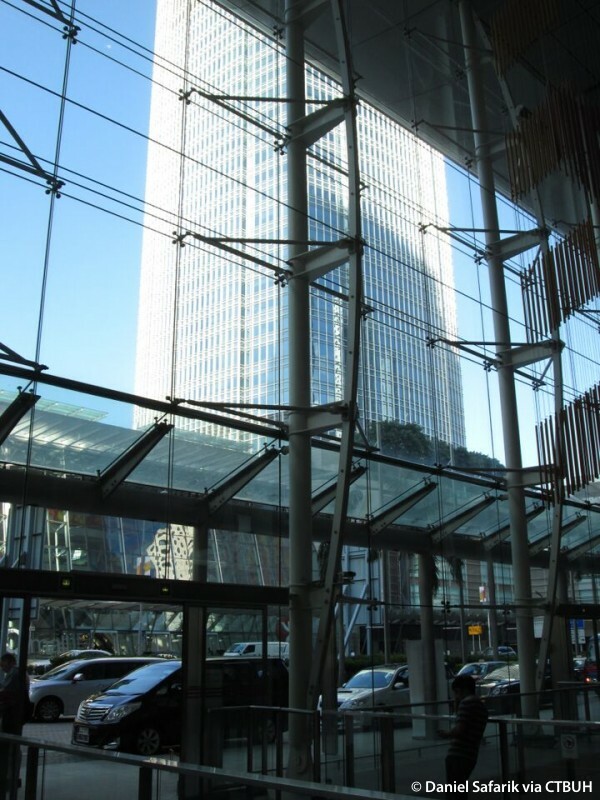 A central core of reinforced concrete holds the primary structure and building services. 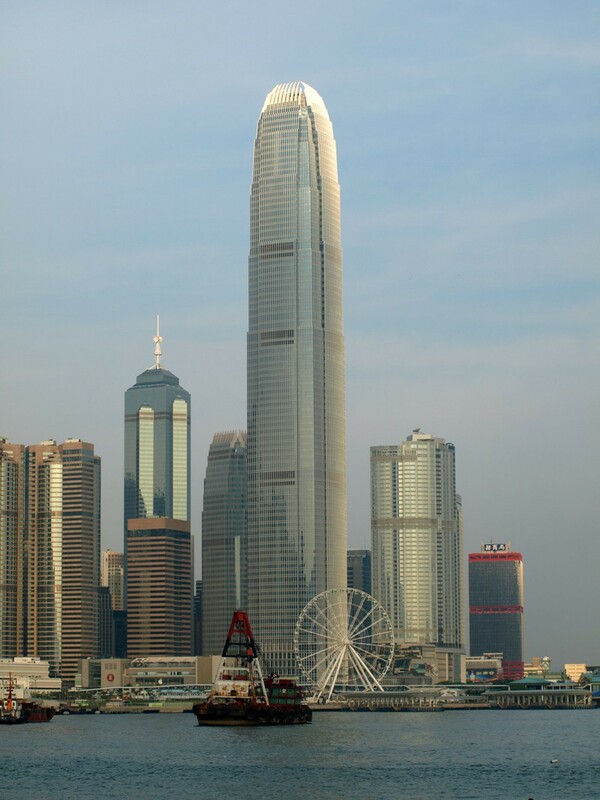 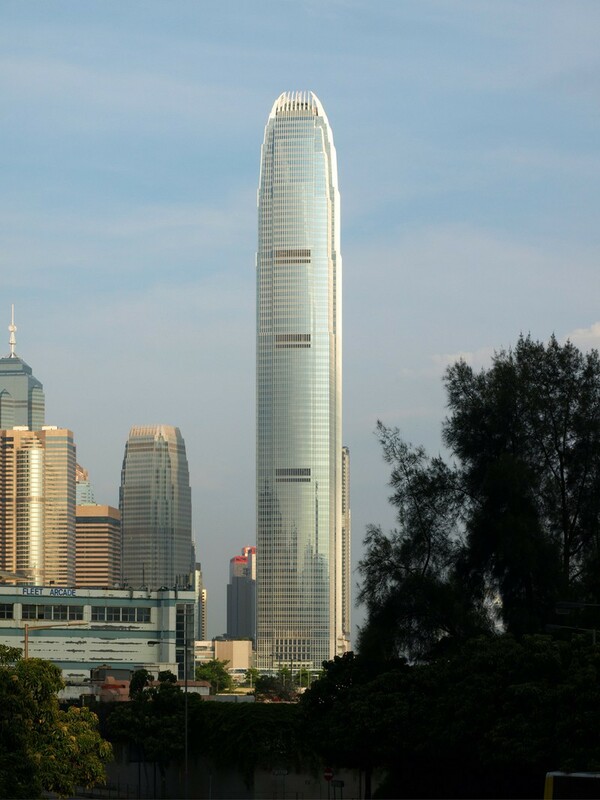 The core’s size was driven by the need to amplify the efficiency of the vertical transportation system. 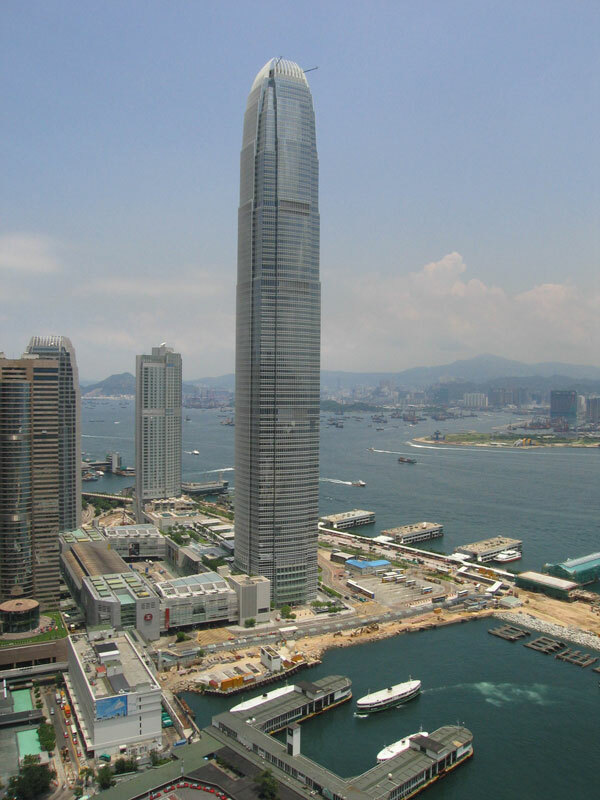 The tower employs outrigger laterals for stability, utilizing eight main megacolumns, with small secondary columns in the four corners of the building. 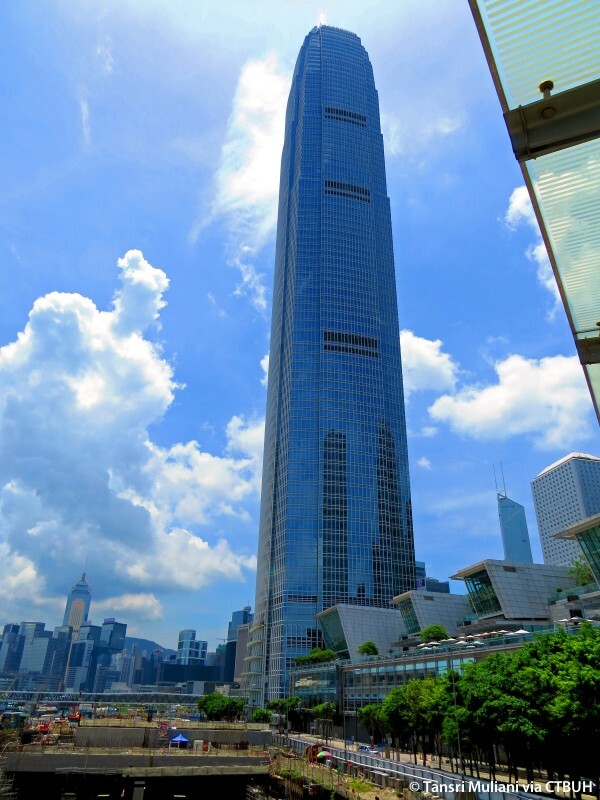 These techniques were used to keep the perimeter structure minimal, so as to provide flexible office layouts and to maximize the panoramic views from the tower, making the space as comfortable, beautiful, and efficient as possible.